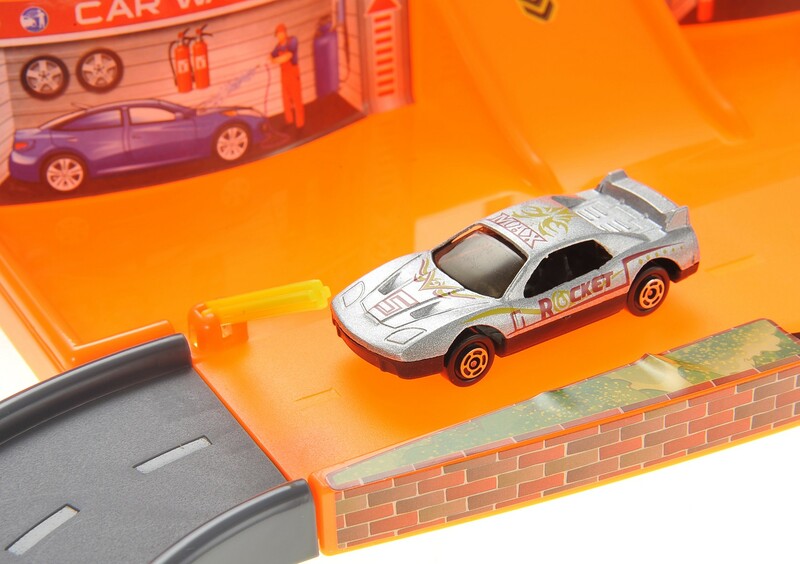 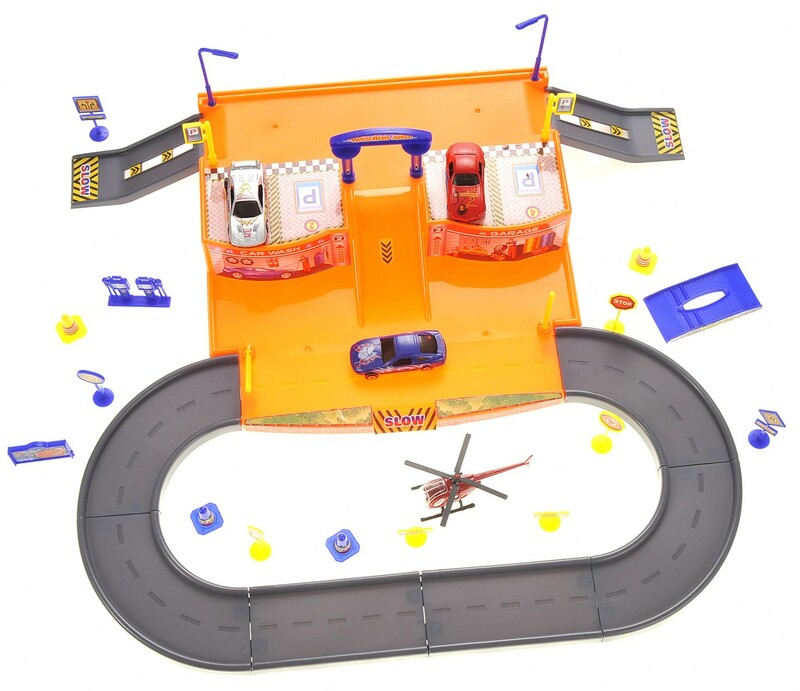 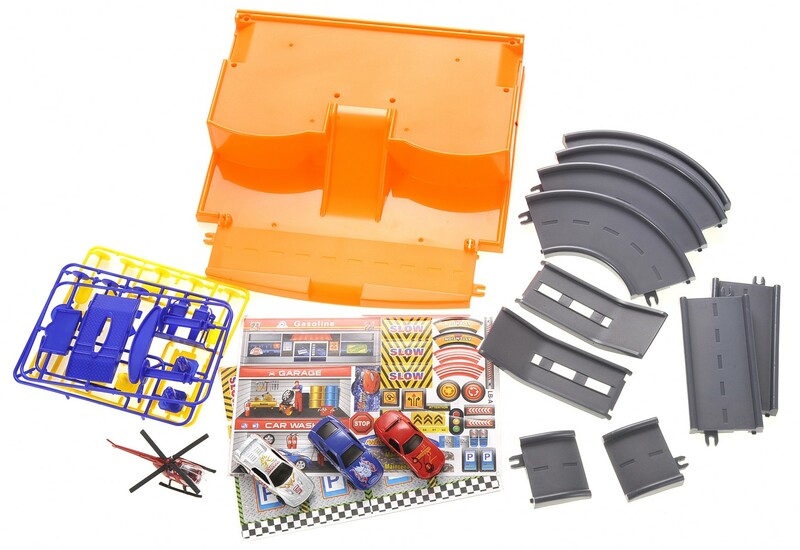 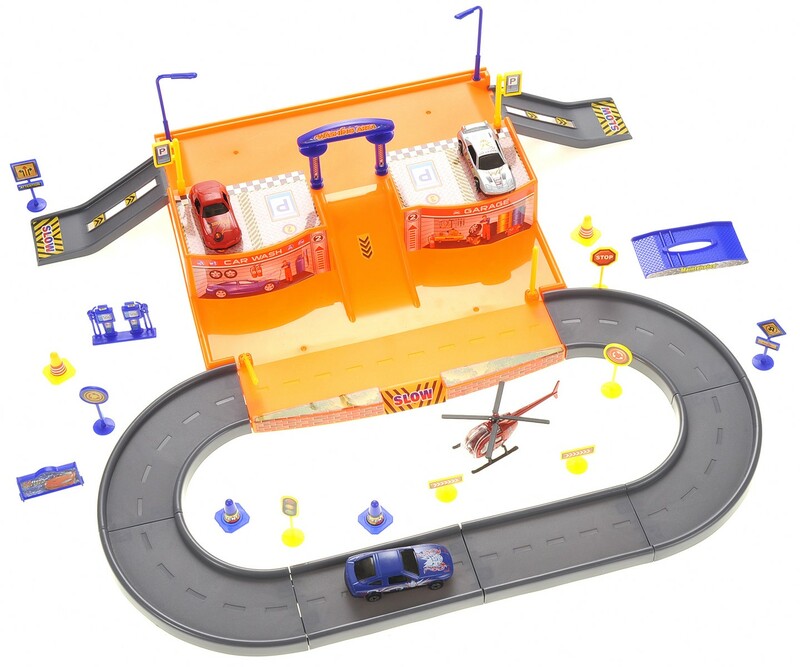 Master Box Dimension : 26" X 17" X 19"
The track set parking garage brings hours of fun with the different setting that is included. 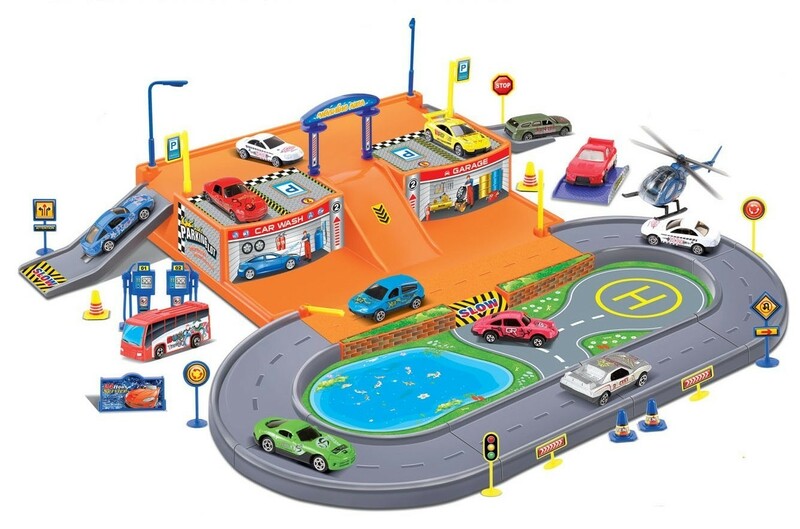 For example, the parking garage can be a raceway for speedy drivers and do not forget to fill up the gas at the gas station. 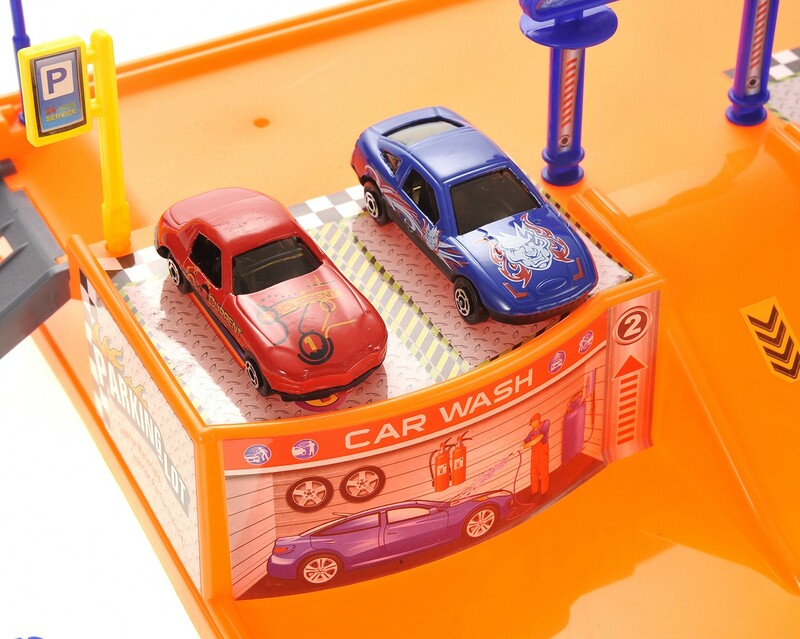 After the gas station, kids can go get their car car washed, so it'll look shiny to show off to others. 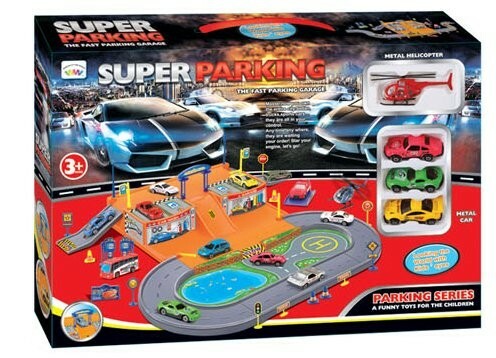 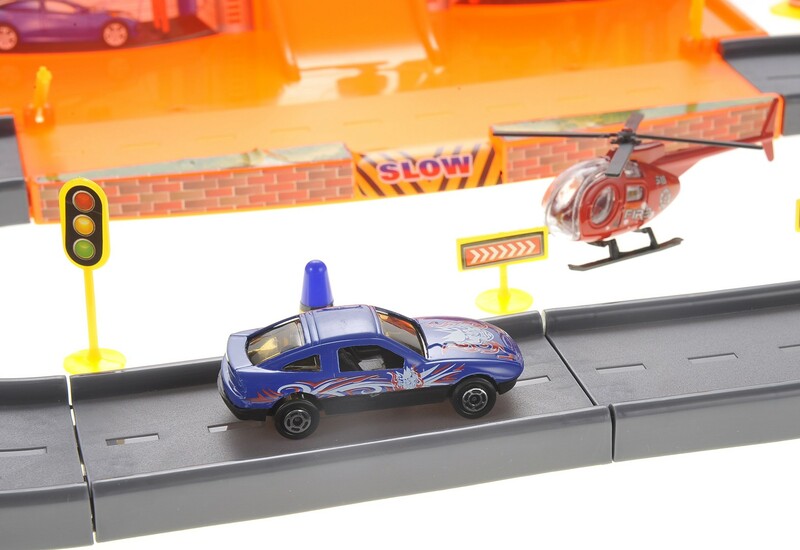 This set also comes with a helicopter and a landing zone. 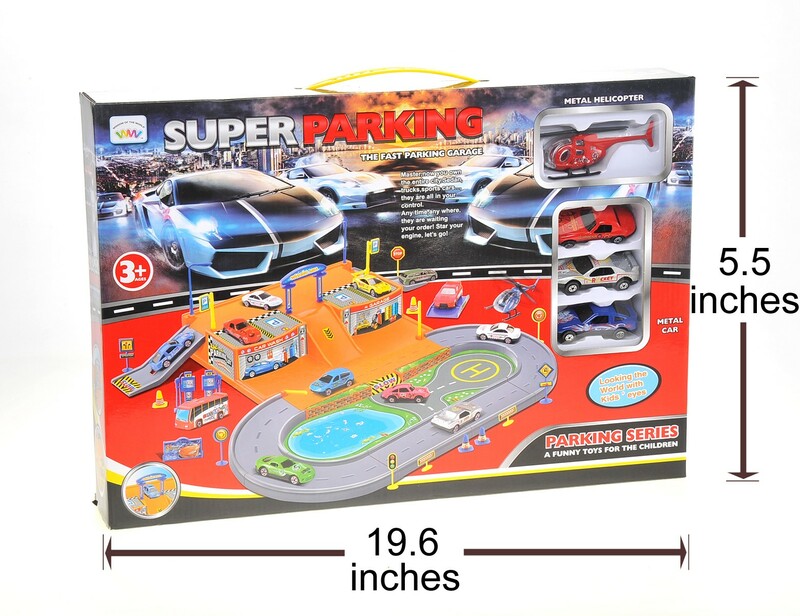 Contains 3 Sports car and helicopter.